High Interest Books Offer the Techniques and Tricks of Each of These Exciting Extreme Sports The so-called unconventional sports that include in-line skating, snowboarding, and rock sport climbing are in the mainstream today. They are radical sports that have captured the imaginations of millions of middle schoolers and teens nationwide, and now many millions of sports fans are outside jumping curbs, riding berms, and chugging up mountain trails. Rad Sports is a how-to sports series specially designed for beginners in each of six sports. The basics are explained so that beginners can learn good, safe habits now rather than trying to correct bad habits later. In-depth descriptions of each sport--including step-by-step photo sequences of techniques and tricks, sporting rules, and the proper safety gear to wear--make these books indispensable tools for novice middle school sports enthusiasts. From empty swimming pools to park setting to vert ramps, skateboarding might just be the original rad sport. 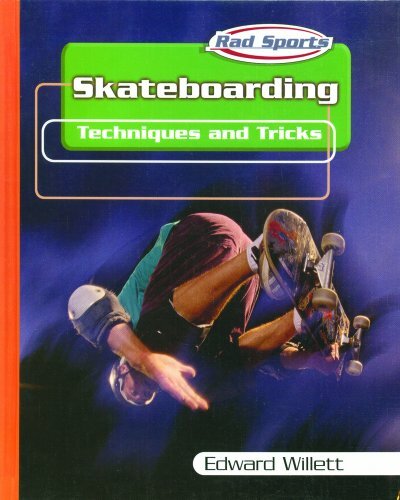 In this book, Willet teaches tricks for the beginner--from the classic ollie to the board slide. Also included are the best techniques for pedaling, stopping, and falling without getting hurt. Edward Willet is a science columnist for radio and newspapers and a former news editor. The author of more than 30 books, including nonfiction on topics as diverse as computing, disease, history, and quantum physics, as well as several science fiction and fantasy novels, he is the recipient of awards from the National Science Teachers Association, the Children's Book Council, and "VOYA" magazine, among others.